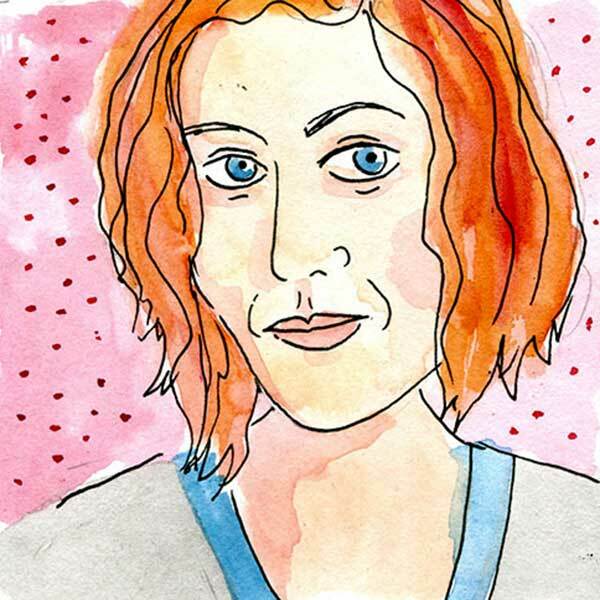 Sarah Laing is a cartoonist, novelist and short story writer. Her latest book is Mansfield and Me, a graphic memoir (AKA comic) about wanting to be a real writer like Katherine Mansfield. She’s illustrated a number of books for children and her comics have been published in magazines in New Zealand and internationally. She grew up in Palmerston North and has lived in Munich, New York City and Auckland. Right now she lives in Wellington, not far from the bird sanctuary, so she’s always taking grainy shots of kererū on her phone and wishing she had a camera with a macro lens. When I was eleven, my favourite album was Madonna’s ‘Like A Virgin’. The next year, Desperately Seeking Susan came out, and that was my favourite movie - I desperately wanted to look like Susan (Madonna! ), and tried bleaching my hair with lemon juice and and even found a pair of lace gloves at the department store. I loved Judy Blume books and read every one I could get my hands on - Blubber, Starring Sally J Freedman As Herself, and Are You There, God? It’s Me, Margaret were some of my favourites. As far as comics go I loved Tintin and Asterix, and I’d read Charlie Brown, Garfield and Donald Duck comics because they were lying around. Recently, my kids have been reading the Hilda books by Luke Pearson, Raina Telgemeier’s comics, the Bone books, Anya’s Ghost, Zita the Spacegirl adventures, the Amulet series, and… Tintin, Asterix and Donald Duck, of course!